Smith Rock State Park is one of Central Oregon's most popular places. 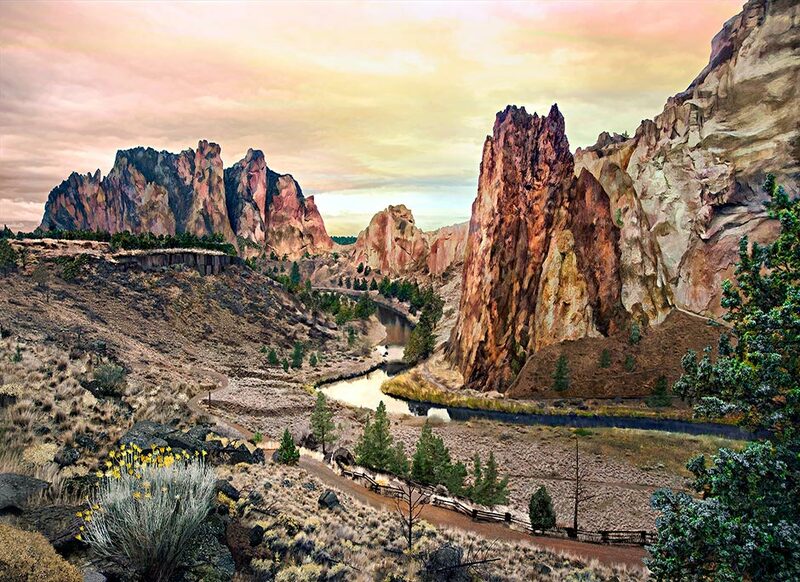 This is a photo-to-painting showing the steep rock climbing faces and the winding path of the Crooked River. It is printed on canvas with accents of handbrushed acrylic paint that makes an attractive gallery wrap wall art.